The 1981 Stanley Cup Final was contested by the Minnesota North Stars making their first Finals appearance and the defending champion New York Islanders, in their second-ever Finals appearance. 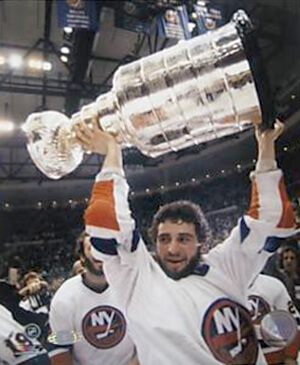 The Islanders would win the best-of-seven series four games to one, to win their second Stanley Cup. This would be the last all American finals until 1991 when the North Stars faced the Pittsburgh Penguins.